If you’re looking for email disclaimer examples, you’ve come to the right place! Take a look at our examples below. Email disclaimers have been used ever since email became an accepted form of communication for businesses. There is plenty of information available which states that email disclaimers are rarely ever actually enforceable. They form a contract that is only accepted by the sender and not the recipient. For example, the disclaimers that state things like “This is confidential, you must not show it to anyone” are completely useless, as there is no confidentiality agreement that has been agreed to by both parties before the email was received, therefore it is legally unenforceable. In fact, most email disclaimers you send cannot be enforced. However, disclaimers obviously have to have some purpose. Otherwise, why do people use them? Disclaimers can offer the sender protection against accidentally forming a contract with the recipient through the content of the email. There have been plenty of cases where people have unwittingly or jokingly stated something in an email which the recipient later used as evidence of forming a contract. Email disclaimers are common and are often viewed as a reminder to do the right thing rather than something that is enforceable. Take a look at these disclaimer examples that we have compiled which can be used at the bottom of email signatures. This is the most used disclaimer as it states that everything (including attachments) in the email is confidential. It also states that the email should only be read by the intended recipient, and in the case that it was received by someone else that is not the recipient, that they should contact the system manager. This email and any files transmitted with it are confidential and intended solely for the use of the individual or entity to whom they are addressed. If you have received this email in error, please notify the system manager. This message contains confidential information and is intended only for the individual named. If you are not the named addressee, you should not disseminate, distribute or copy this email. Please notify the sender immediately by email if you have received this email by mistake and delete this email from your system. If you are not the intended recipient, you are notified that disclosing, copying, distributing or taking any action in reliance on the contents of this information is strictly prohibited. This disclaimer limits the liability of the company. It does this by saying that any opinions are those of the sender and not the company. It also says that the employee sending the email will be personally liable for any damages resulting from the email. Any views or opinions presented in this email are solely those of the author and do not necessarily represent those of the organization. Employees of <COMPANY> are expressly required not to make defamatory statements and not to infringe or authorise any infringement of copyright or any other legal right by email communications. Any such communication is contrary to organizational policy and outside the scope of the employment of the individual concerned. The organization will not accept any liability in respect of such communication, and the employee responsible will be personally liable for any damages or other liability arising. Using this email disclaimer example will limit negligence and liability if you provide incorrect information that leads to damages. It also has a confidentiality statement at the end advising that if you aren’t the intended recipient, you are not allowed to copy or distribute the content, among other things. Our organization accepts no liability for the content of this email, or for the consequences of any actions taken on the basis of the information provided, unless that information is subsequently confirmed in writing. If you are not the intended recipient, you are notified that disclosing, copying, distributing or taking any action in reliance on the contents of this information is strictly prohibited. This is an environmental disclaimer, which can be used in addition to any other disclaimer. A lot of companies will use these disclaimers to try and save paper and in turn, the environment. Please do not print this email. I want to breathe air tomorrow. This disclaimer limits any liability claims arising as a result of you sending a virus by accident to the recipient and it causing damage to their systems. It advises that the recipients should check their incoming emails for viruses. The second part mentions that the email could be corrupted among other things and that the sender does not accept liability. Computer viruses can be transmitted via email. The recipient should check this email and any attachments for the presence of viruses. The organization accepts no liability for any damage caused by any virus transmitted by this email. Email transmission cannot be guaranteed to be secure or error-free, as information could be intercepted, corrupted, lost, destroyed, arrive late or incomplete, or contain viruses. The sender, therefore, does not accept liability for any errors or omissions in the contents of this message which arise as a result of email transmission. These disclaimers are required to be appended to all emails whose intended purpose is to commercially advertise to recipients. 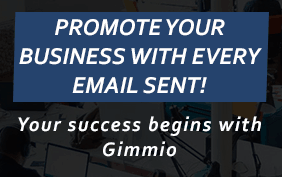 It doesn’t only apply to mass mailouts such as mailing lists, but any commercial email that is intended as an advertisement. The CAN-SPAM act defines what laws must be followed when sending these sorts of commercial emails and the fines that apply if you break the law. This message was sent by or on behalf of <COMPANY> (“<COMPANY>”). To change your communication preferences, including unsubscribing from further marketing or commercial communications from <COMPANY>, please click here. You may also unsubscribe from <COMPANY> marketing communications by writing to <COMPANY ADDRESS>. You are receiving this email because you are a contact of <COMPANY> or have subscribed to the <COMPANY> newsletter. Adding one of the above sample disclaimers to your email signature will likely do more good than not having one. Choose the disclaimer template that works for you. Also, make sure it has everything that is required by law in your country. It’s always best to get your lawyer to look over these examples to ensure they are suitable for your circumstances. You can add disclaimers to your email signature easily by using Gimmio, or you can do it manually by following our guide here.